Welcome to the hit-parade for newcomers!! People feel happy when their post appears in the global daily chart. Moreover, they can get a nice award on SteemitBoard when they occupy the top position. I guess you also noticed that these enviable positions are often occupied by well known bloggers who have already earned a good reputation. It is becoming increasingly difficult to get noticed and appear at the top. This can lead to significant frustration for newcomers who write quality posts but feel drowned in the Steemit ocean. This is where the Hit-Parade for Newcomers comes to help. - users who NEVER appeared in ANY of my previous daily Global Hit. - users who have a reputation lower than 50. I think you now understand that only newcomers will be able to pop-up here. This way, we can put the spotlight on new authors and help them to raise their reputation. 84 @twohs [이벤트!] 3천스파업 기념!! 풀보팅해드립니다. 61 @sismaru [뻔뻔한 스티미언 : 버킷리스트] 이건 진짜 죽기전까지 꼭해야지! 69.36 @natelost My Application to Write for Your Cannabis Dispensary, Magazine, or Weed-Related Business of Any Kind. 65.71 @cryptocartograph My first ever dMania post! 61.10 @gustrading Vechain moneda que holdeare todo el año! 58.60 @biohackerpro You CAN Homestead in Suburbia! And I am Proof! Thanks @arcange .. 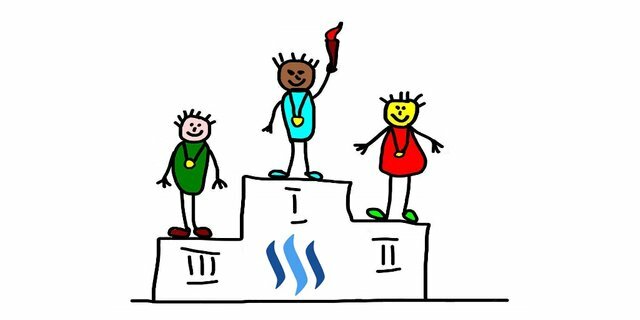 I like what you're doing here and being new to Steemit, every piece of additional exposure helps. We've all spent 5 hours creating a good post to then see $0:12 appear in the wallet, whilst at the same time viewing other less invested posts on the same subject at $212:12, and thinking really? ... Rinse and Repeat. It's frustrating, but we keep plugging away and creating content we enjoy. We think that others are gaming the system, and some are, but mostly it's just a question of learning the system and hoping that with knowledge, will come exposure and positive response. And, to my point, when it comes to exposure for newcomers like myself, being added to any list that includes "TOP" "MOST" "BEST" "HIT" in the title is an incredible boost. it's frustrating, but we keep plugging away and creating content we enjoy. thank you @arcange pour l'apparition de DGamer!!! Ravi de pouvoir participer à votre promotion. Bonne continuation!